Police Scotland has released video footage of a motorcyclist who was jailed after being convicted of dangerous driving on North East roads. 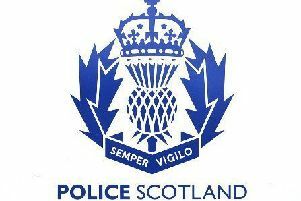 On Wednesday, October 21, 2015, Road Policing Officers from the Trunk Road Patrol Group were on patrol on the A90 between Aberdeen and Balmedie when they became aware of a motorcycle exceeding the speed limit. The motorcycle ridden by, Scott Edwards, aged 27, was followed as it travelled between 100 and 115 miles per hour towards Balmedie. Officers carried out a speed check on the motorcycle using a calibrated device within the Police vehicle and recorded its speed at 110 miles per hour. The motorcycle was followed into the built up area of Balmedie where Officers signalled for it to stop. The motorcyclist immediately increased speed accelerating through a section of roadworks and began overtaking other vehicles on a blind bend. Due to the risks involved, the Officers stopped following the vehicle to carry out enquiries with the registered keeper. A few minutes later they received a report of the motorcyclist having crashed on the other side of the village. On arriving they found the motorcyclist they had been pursuing had crashed into a car travelling in the opposite direction. Edwards was found to have sustained a fracture to his wrist and the driver of the car also sustained whiplash injuries. On appearing at Court on Friday 4 March 2016, Edwards pled guilty and was imprisoned for six months. He was also banned from driving for 32 months. Edwards received a further three month jail sentence and was banned from driving for thirteen months in respect of a dangerous driving offence in July 2015 when he was recorded driving a car at 120 miles per hour on the A96 near Kintore, Aberdeenshire. Sergeant Steve Manson, from Police Scotland’s Trunk Road Patrol Group said: “Unfortunately the speeds recorded here are not isolated incidents, despite previous warnings, Officers are regularly recording high speeds on the north east roads. “Although the rider in this incident sustained a fractured wrist and the other driver received whiplash injuries, the outcome of riding a motorcycle in this manner could easily have been worse.